CARLSBAD, Calif.--(BUSINESS WIRE)-- SleepScore Labs, the company behind the world’s most accurate sleep app and the only curated store of sleep products, today announced results from its scientific validation study confirming the benefits of using Sound+Sleep SE to achieve a better night’s sleep. 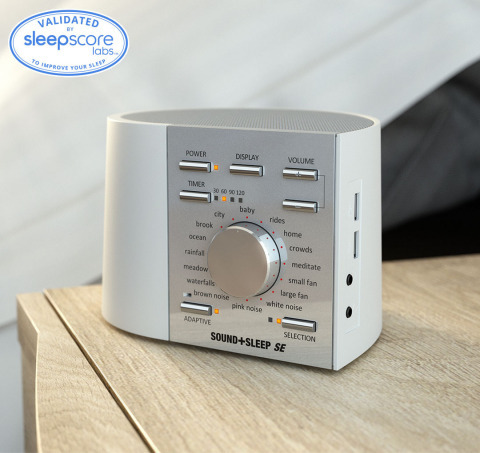 Following regular use of the Sound+Sleep SE sound machine, study participants reported improved overall perceived sleep quality. Reported benefits included less time to fall asleep, less time spent awake during the night and enhanced feelings of relaxation and restfulness.